Want to learn about the history of UPS, but don’t have the time or transportation to visit the Archives & Special Collections in person? Check out our digitized collection of university historical texts! 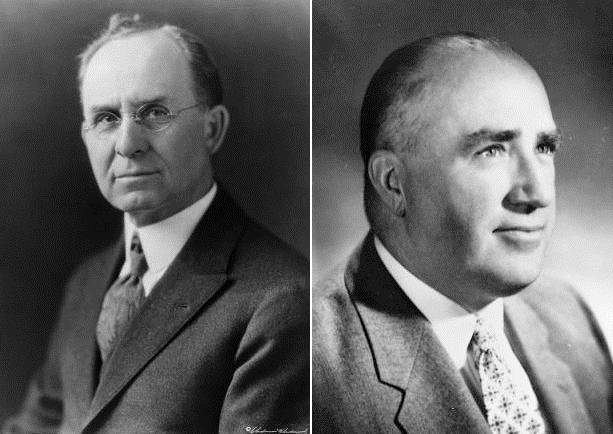 Two presidents – Edward H. Todd and R. Franklin Thompson – wrote histories of the university. Todd’s history is the earliest digitized history of the university; we do have an earlier autobiography of one of the ministers in the Puget Sound Conference of the Methodist Church at the time of the university’s founding, which discusses some of the history of the university but is primarily focused on the life and career of the minister in question, Rev. LeSourd. Todd’s history, which he titled College of Puget Sound: A Dream Realized, not only covers his own presidency, but also the 25 years of university history prior to his election. 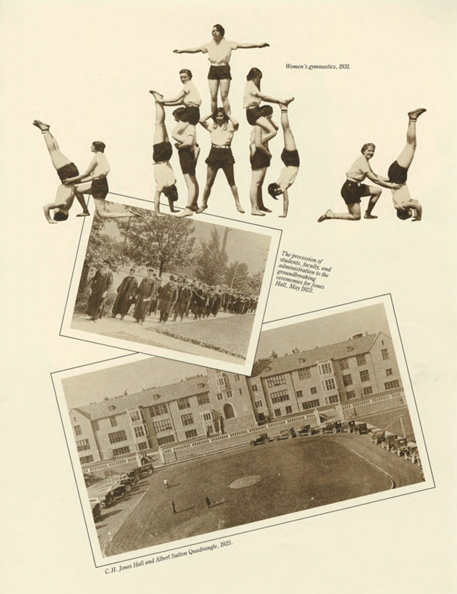 Some highlights include the origin of the university, President Todd’s successful fundraising campaigns, the move to the current campus location, the fiftieth anniversary of the university, and campus during World War II. The Thompson histories contain chapters covering such topics as President Thompson’s life and career, UPS traditions, the reorganization of the Board of Trustees, campus publications, and campus buildings (many of which were constructed during Thompson’s tenure). Thompson also included his interviews with notable figures in the university’s history, like Norton Clapp, the trustee for whom Norton Clapp Theater and the old law school building were named; James Slater, a professor of science who gave his name to the Slater Museum of Natural History; and Raymond and Olive Seward, the former a professor of physics and the track and football coach, the latter Dr. Todd’s secretary, and both of whom had given so much in service to the university that Thompson suggested that Seward Hall be named after them. James Earley’s On the Frontier of Leadership is the most recent history of UPS that we have digitized. It was released for the centennial celebration in 1988, just two years after Earley graduated from UPS. This was his first published work as a freelance writer. He divides the history of UPS into two parts: before and after 1913, the year when President Todd assumed office. He considers the university prior to 1913 a “fledgling institution” that faced many struggles, while after 1913, UPS became “an institution destined for distinction.” Using photographs from the A&SC, Tacoma Public Library, and the Washington State Historical Society, Earley provides a glimpse into what campus life actually looked like, in addition to the written history. John Finney ’67 published a history of the university last year, but it is not digitized. However, we do have a physical copy in the library’s general collection that is available for research. It includes comprehensive lists (to 2017) of the presidents, academic vice presidents and deans, registrars, bursars, deans of women, student body presidents, and chairs of the Board of Trustees. It also has information about the campus locations over the years. The majority of the book consists of a compilation of revised and expanded versions of Finney’s articles in Arches magazine regarding the history of the university. My personal favorite chapter is “My Life as a Cold War Spy”, in which Finney tells the story of when he and another Puget Sound student were arrested by Soviet police during their study abroad program in 1966 for taking photos of troops and vehicles. The Archives & Special Collections is open on Mondays, Tuesdays, Wednesdays, and Thursdays from 10:00 a.m.-3:00 p.m. or by appointment.